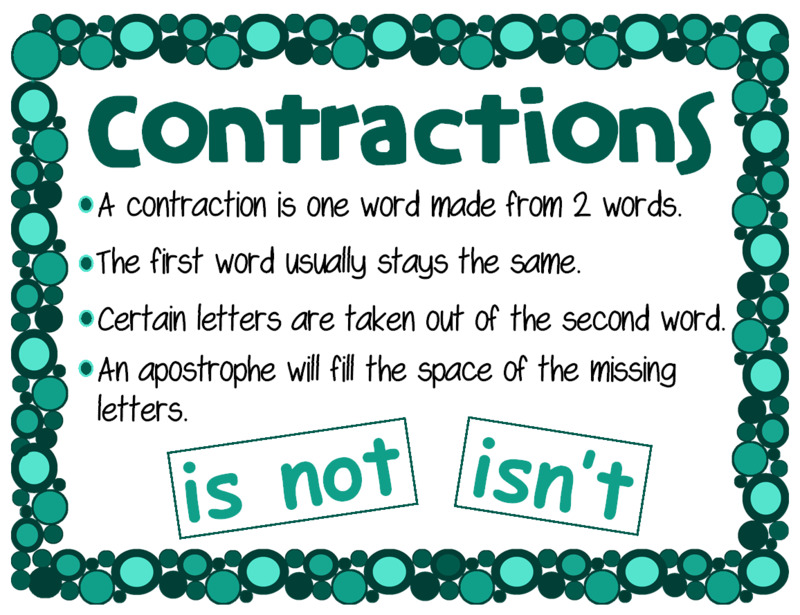 A contraction is a word made by shortening and combining two words. 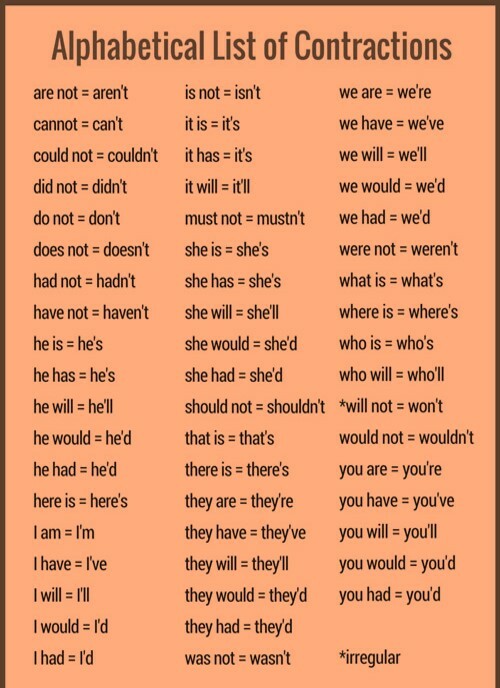 Words like can't (can + not), don't (do + not), and I've (I + have) are all contractions. This is an apostrophe. 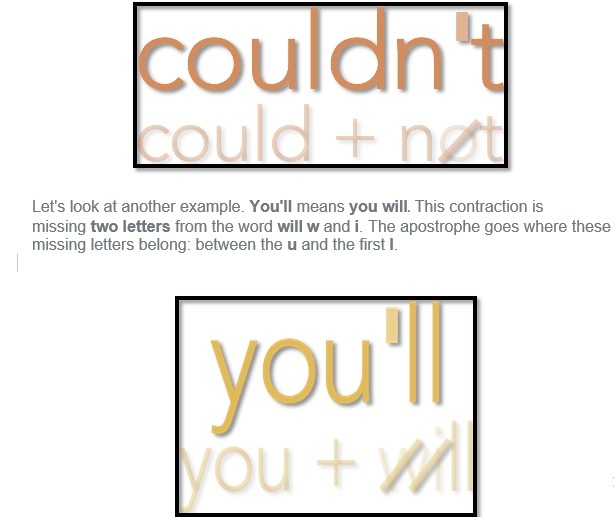 Knowing where to put the apostrophe can seem tricky, but there's a pretty simple rule that works with every contraction. 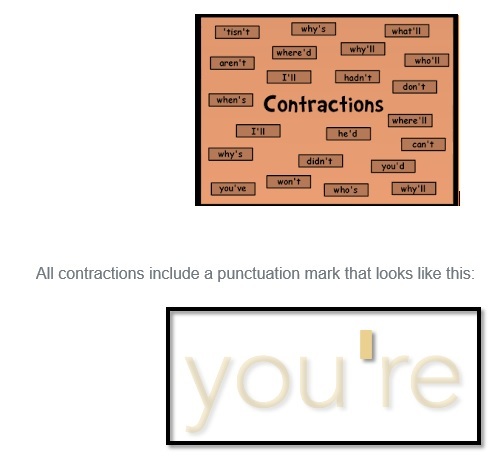 Remember how we said contractions are made of two words that have been shortened? The apostrophe replaces any letters that are in the original words, but that aren't in the contraction. 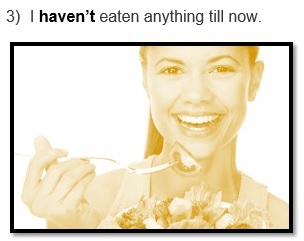 For instance, the contraction couldn't means could not. As you can see, the o in not isn't in the word couldn't. The apostrophe goes in its place, right between the n and t.
a) There will be tim'for the movie. b) There'll be time for the movie. 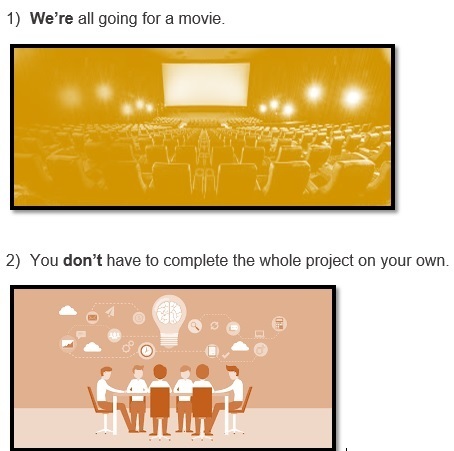 c) There will b'ime for the movie. d) There will be time for th'movie. a) Ith'nk it will be declared soon. b) I think itw'll be declared soon. c) I think it'll be declared soon. d) I think it wil'be declared soon. a) Maria doesn't like this. b) Maria do'snot like this. c) Maria d'snt like this. d) Maria doesn't li'ke this. a) The st're would not open today. b) The store won't open today. c) The store wou'dnot open today. d) The store wo'ldnot open today. a) You shou'dnot talk right now. b) You should not talk ri'ht now. c) You sho'ld not talk right now. d) You shouldn't talk right now. a) I'ould not complete the task. b) I couldn't complete the task. c) I co'ldnot complete the task. d) I could not complete the t'sk. I am as efficient as you are. I'm as efficient as you're. I'm as efficient as you are. I am as efficient as you're. We'll let our parents know about the trip. He'll start doing the work now.